“I was delighted to see THOR 5 successfully being launched”, said Cato Halsaa, CEO of Telenor Satellite Broadcasting. “I would like to thank our partners, Orbital, for carrying out the entire THOR 5 mission programme and ILS, for performing a successful launch. The THOR 5 satellite will now go through extensive in-orbit testing before it is brought into its final geo-stationary position at 1 degree West and commence operating commercial services. From 1 degree West, THOR 5 will carry all broadcasting services which currently reside on Thor II and provide additional capacity to allow growth in the Nordic region and expansion into Central and Eastern Europe. 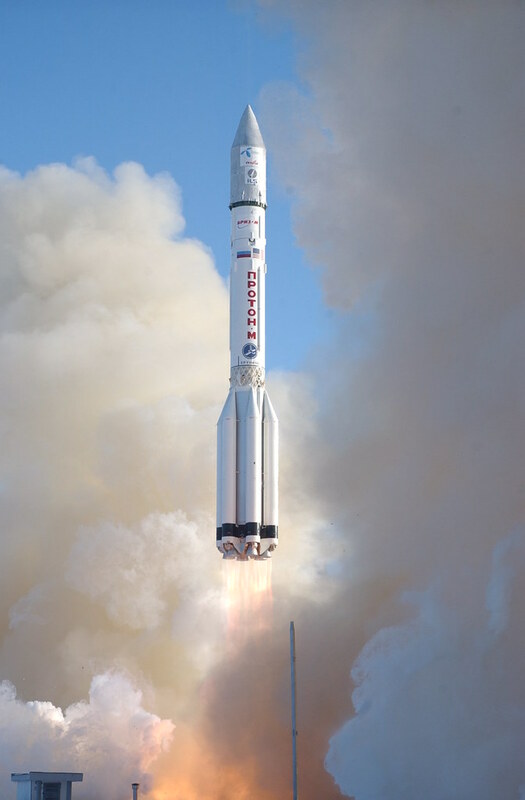 THOR 5 is the first new satellite to be launched in Telenor Satellite Broadcasting’s replacement and expansion programme for satellites, which has a total investment frame of 2.5bn NOK. With the completion of the programme, Telenor will have doubled its capacity on 1 degree West, which will facilitate both organic growth and expansion for Telenor. “The satellite replacement and expansion programme demonstrates Telenor’s commitment to the satellite industry and our firm belief that satellites will continue to play an important role as a distribution platform for TV entertainment”, says Cato Halsaa, CEO of Telenor Satellite Broadcasting. “Driven by HDTV, new niche channels, and the expansion within emerging markets, the need for high powered capacity is increasing, and with our new satellites, we will are able to support the future growth requirements of our customers in Europe”. This entry was posted on Monday, February 11th, 2008 at 7:36 pm	and is filed under Around the Blogs, Astronomy. You can follow any responses to this entry through the RSS 2.0 feed. You can leave a response, or trackback from your own site.